On the 27th of May of 1941 the Nelson Class British 16 inch gun battleship, HMS Rodney may have been the first ship to land a shell on the German battleship Bismarck. In the last couple of years I have had continuing problems in dealing with the Google-owned Blogger. I use the Blogger platform for my blog. In these two years I have become friends with the York (England) based computer software/language expert Noah Slater. He is a fan of my blog and when I posted that I had problems he would send me suggestions. When I finally ran out of options a few months ago and Blogger somehow eliminated from my files the first two weeks of each blog from my monthly archives, Slater came to the rescue and solved the problem of the missing blogs. 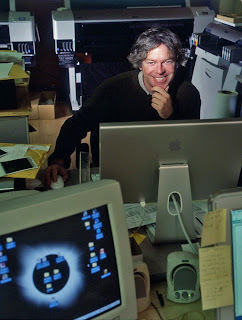 He discovered that Blogger had unilaterally (when you are big you can afford to do this sort of thing) eliminated the monthly archives. By archiving my blogs in the messy looking weekly system all my blogs magically came back. Feeling that I owed Slater something for his help I asked him if there were anything he would want from me. Having good taste he said he wanted a signed copy of one of my favourite portraits of Rebecca, the one where she poses by the agave at the Queen Elizabeth Bloedel Conservatory. A fine giclée made by my friend Grant Simmons of DISC arrived in York safely. With this thank you Slater sent me three photographs he took of a statue that is prominent in York. 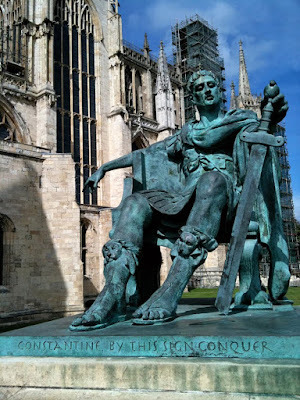 Slater had never really stopped to notice so it was yours truly that told him that Constantine the Great, who brought christianity into the Roman empire had been born in English soil, in York. Such was the quality of Grant Simmons’(bottom, left) giclée of Rebecca that I decided to have a copy made to replace the not so nice one that I display in my den. Monday I went to pick it up. 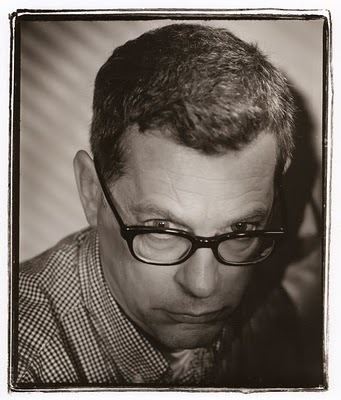 From Grant Simmon’s DISC I went to my nearby framer Rodney Steere’s Final Touch Frames. I asked Bruce McAdam to open my frame and replace the old giclée with the new one. As always happens when I go to Final Touch, Rodney and I had a conversation about politics, Carole Taylor (will she come back?) and his recent test of his family’s mitochondrial DNA. We talked about the first Eve and of recent books that he had read, A Mirror to Nature by Peter Knudtson and The Last Human: A Guide to Twenty-Two Species of Extinct Humans by G. J. Sawyer, Viktor Deak, Esteban Sarmiento, and Richard Milner. But it was in Julian Jaynes' The Origin of Consciousness in the Breakdown of the Bicameral Mind he had discovered that religion had begun with language. 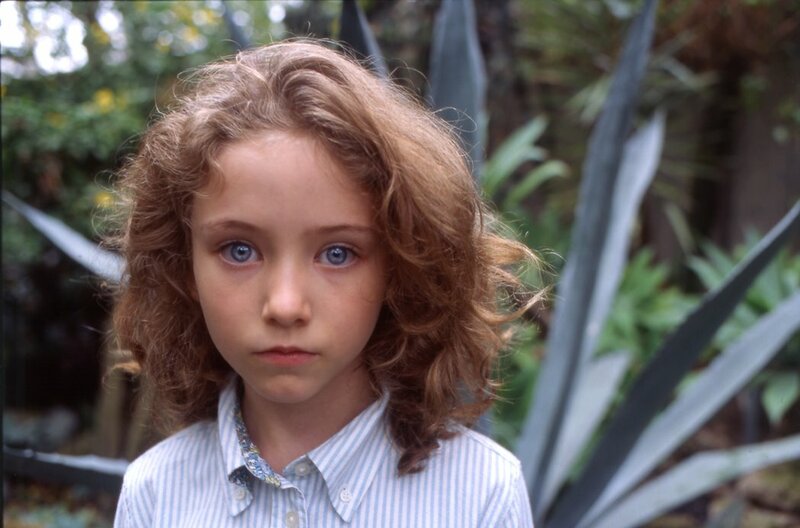 At this point I said that perhaps we had become only human when we developed language and not before. From here I told him of my experience of talking with Brother Donald back in Austin, Brother Donald is a Pierre Teilhard de Chardin scholar and I had read Chardin’s The Phenomenon of Man back in 1966. I told Rodney that he should read this great book which reconciles Catholic Doctrine with evolution. 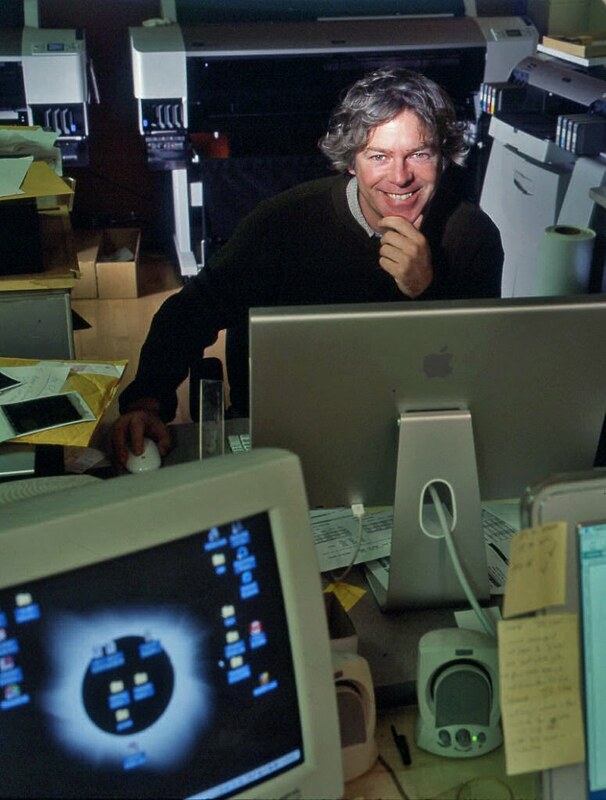 The every-which-way of our conversation brought me to assert my suspicion that what makes us human is our ability to find connection among disparate facts. I told Rodney that to rememember his name I have to associate it with with the Nelson-Class HMS Rodney and the only way I can ever remember Vancouver artist Rodney Graham (top, right) is to connect his name with my friend the framer and the battleship of the same name. As I checked my facts for this blog I was dismayed to find out that Caesar Flavius Valerius Aurelius Constantinus Augustus was not born in York but in Serbia. 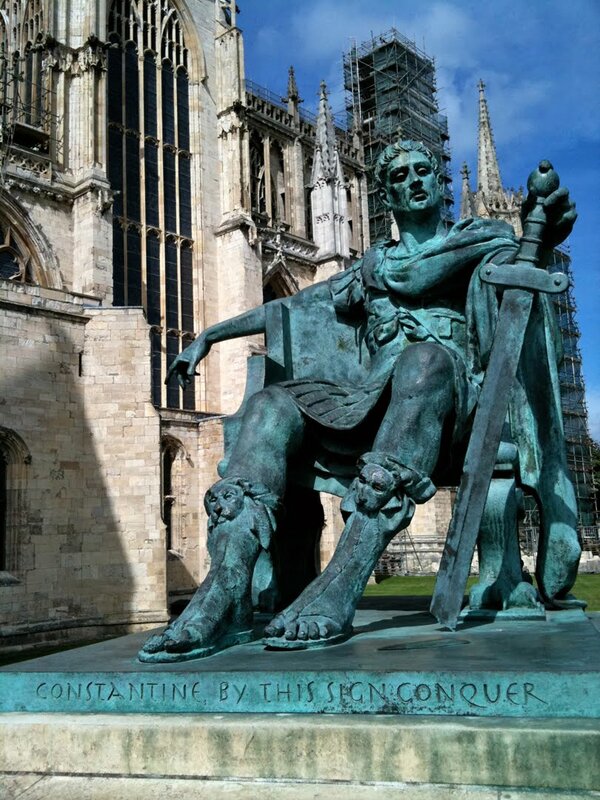 The facts are that Constantine the Great, in AD306, was hailed emperor in the Roman city of York, known as Eboracum. And my friend Noah Slater may have been simply too kind to point it out to me. Admiral Lord George Rodney, First Baron Rodney 1719-1792, had an interesting connection with Canada as he was involved in the fight for supremacy between the French and the English. And Constantine's mother, Empress Helena brings to mind that other famous mother, Monica whose son was Augustine. There are all kinds of connections and associations to be discerned there. Ah, the joy of being human!